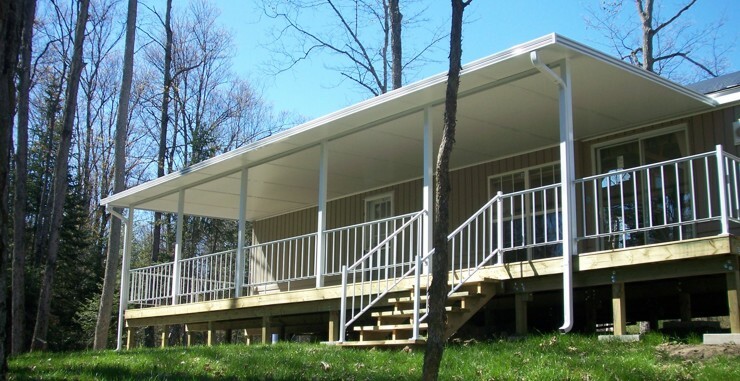 Adding a screened enclosure to your home or trailer will allow you to fully enjoy all those beautiful summer days and nights. The nearly-invisible fibreglass screening material provides you with maximum visibility, air flow and strength to resist sagging. It also provides a safe haven away from those annoying summer pests like black flies, deer flies and mosquitoes. The Model 1500 is durable and virtually maintenance-free, featuring aluminum supports with a baked-on finish, rustproof fibreglass screening, an aluminum clad roof with 4” rain gutter. It is designed to remain in place all year round. Safety balusters can be added for safety and style. Note: All models are measured, designed and installed by H&H Patio Enclosures. 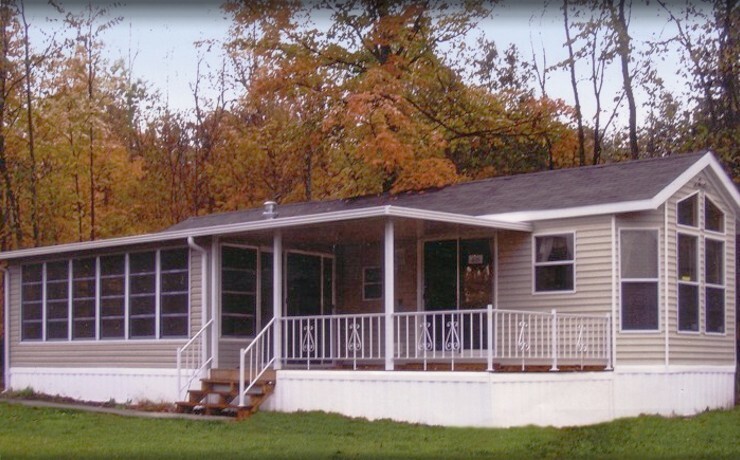 The Model 2001 is a three-season enclosure designed to provide extra square footage to your existing home, cottage or trailer. This model comes installed with glass windows and a vertical slider with fibreglass screening material. The top ¾ is glass, providing maximum visibility, while the bottom ¼ is a vertical slider window providing extra ventilation. The slider can be easily removed for cleaning. The Model 2500 is our most popular three-season enclosure. Our customers love the beautiful 4-tier vertical sliding windows that provide the greatest amount of ventilation to help keep them cool on those hot summer days. The Model 2500 is our only model to feature a fully screened window area and 4 tier glass windows. The Model 3001 is our premiere three-season enclosure, providing a pleasant balance of appearance and visibility. This model comes installed with shutters and side slider glass windows, so no lifting is required. You’ll also enjoy maximum ventilation when it’s warm out, and a comfortable room to stay warm in on those cooler nights. The Model 5001 provides an excellent, cost-effective addition of living space to your home, cottage or trailer. This enclosure features a sturdy 2” x 4” insulated wall construction with thermal Low E Argon windows. Add air conditioning or heating to make this living space yours to enjoy. 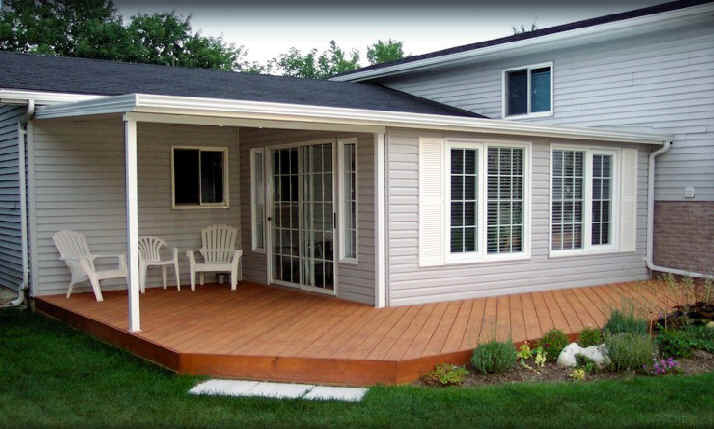 The Model 5001 is built upon a solid insulated deck, providing for a fantastic living space, rec room or spa enclosure. Built to resist all that Canada’s weather throws at us! 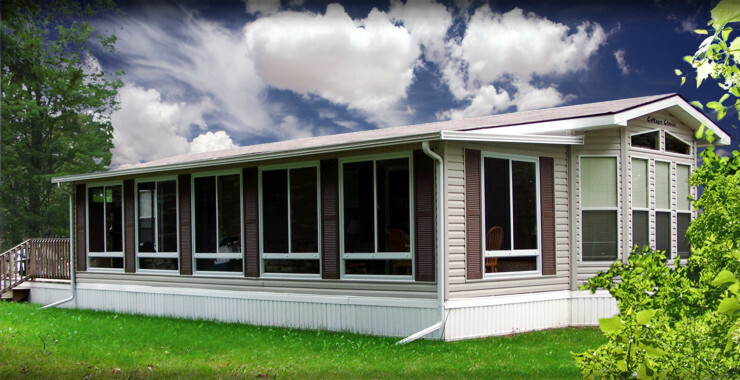 The Model 6001 features 6” insulated walls, 6" insulated roof and thermal Low E Argon windows. Stay warm during the winter and stay cool during the summer. The thermal pane casement windows are easy to clean and highly energy efficient. Add air conditioning or heating to make this living space a year round pleasure. The Model 6001 should be built upon a solid insulated deck, providing a comfortable home office space, living room or rec room. If you are looking for shelter from rain and snow, then an H&H insulated roof is just what you needed. The 3” insulated roof is an excellent alternative to flimsy canopies and adds value to your home, cottage or trailer. Our insulated roofs meet or exceed Ontario B.C. snow load requirements. 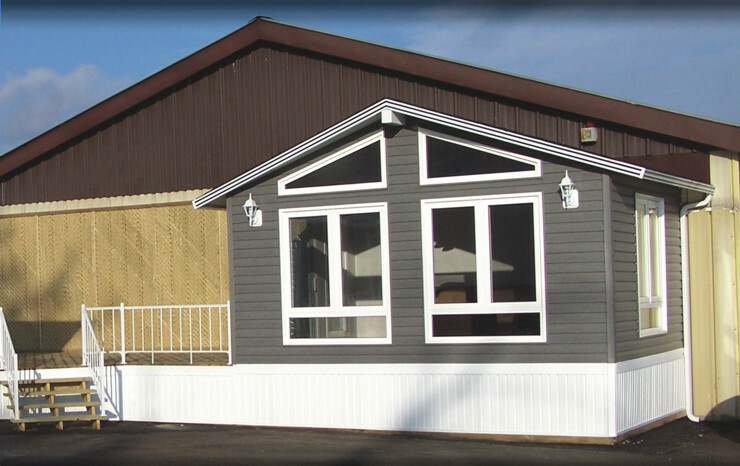 To further enhance your insulated roof, consider adding columns or railings. We have a variety of colours in stock. Add extra space to the front or back of your home with an entrance enclosure. It’s a great way to keep the elements away from the entrances to your home, and provides an extra level of security.